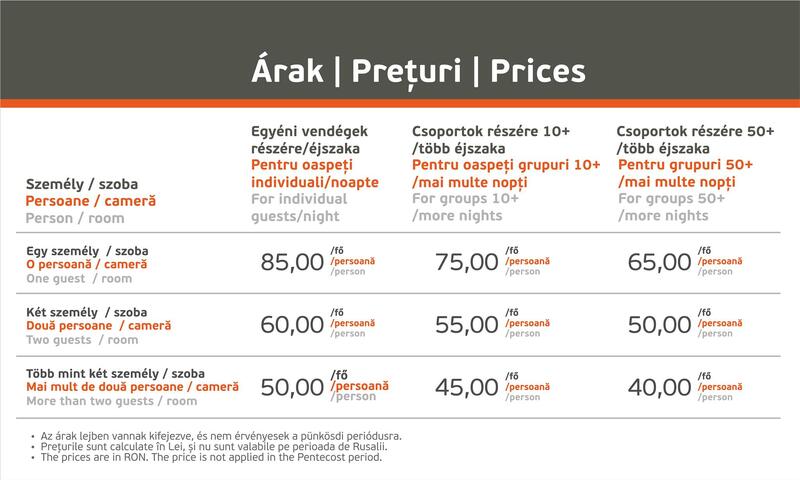 The Jakab Antal House offers accommodation for advantageous prices for 130 guests, in more than 50 double bedrooms, twin-bedrooms or rooms with multiple beds. All rooms have own bathrooms. The number of places can be extended by extra beds. 14 guests can be housed in 7 barrier-free twin-rooms. Many of our rooms are suitable for families with children. We can also provide two-two interconnectable rooms for families or groups of 5-6 persons. For guests we offer free parking in the enclosed courtyard. The whole building is equipped with a Wi-Fi network. There is no TV in the rooms. The prices do not include breakfast.